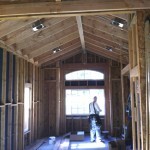 Most homeowners anticipate an increase in the value of their home after remodeling or renovation. Home valuation is based on Resale Value as well as marketability factors, which means the Resale Value is determined by current real estate trends and location as well as the appeal of the features of the home. At the top of the list, market appeal includes curb appeal, yard use, and interior features, such as the presentation and functionality of the kitchen. If you think back on your last home shopping experience, you’ll remember walking into “that” kitchen that stole your heart. The kitchen IS the heart of the home, the place where family gathers for daily living as well as special events. Imagining your family in “that” kitchen is a major catalyst to home sales, making an appealing kitchen as important to the value of your home as it is to your family. For that reason, as a home owner, it is important to remember the impact a kitchen has on the general appeal of your home. While designing that “fantastic” kitchen can be a great outlet for creativity, remember that not all homeowners may share your eclectic taste. If you are considering your kitchen remodeling project as a potential investment, a benefit to the return or profit when you sell the home, choosing more traditional styling may work in your favor. Likewise, if you are expecting a return on your investment, a full kitchen overhaul actually may not be in your best interest. This Old House, a popular source for home remodeling enthusiasts, states, “If you take $20,000 and spend it judiciously on a kitchen, you can make it look a million times better.” That “look,” the first impression when the buyer walks into the kitchen, is most often what sells a home. It is obvious that a cost-efficient facelift will save you money and give you a great looking kitchen, but what about increasing the value of your home? Do you need to invest more heavily to recoup our investment when we sell? Realtors and Home Valuation experts agree with a resounding “no.” The wisest decision is made when calculating the final costs vs. market value of the home. An $80,000 kitchen renovation may not increase the home’s value more than $80,000, incurring a loss for your expenditure. 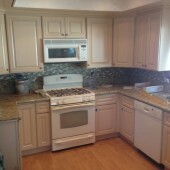 But a top-notch $20,000 kitchen remodel could easily increase the profits you enjoy when you sell. You will see, that as an investment, an affordable kitchen facelift is often more beneficial to the value of your home than a ground-up renovation…in other words, when it comes to Kitchen Remodeling, Less may be More! 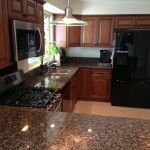 An affordable kitchen remodel does not mean a quick fix . First impressions count, but so does quality. 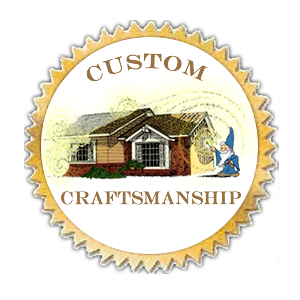 Home buyers are often savvy to the quality of the work that has been performed on the home, and whether or not it will last. If the home buyer recognizes the cost of repairing shoddy workmanship in the kitchen, it may be enough to encourage an exit the front door as quickly as possible. When kitchen remodeling is performed by professionals simple facelift options, such as new tile, cabinet hardware and countertops, will pay off immediately by lowering your costs for the dream kitchen you’ve always wanted, and, again, in marketability and home value. Other affordable, “good ROI,” investments include installing new cabinets, appliances, refinishing wood floors, countertops and fixtures, professional repair and painting, and the addition of stylish touches. The Special Touches – Ultra-Trendy or Traditional Beauty? Traditional options are also the best, where possible. Today’s spin on traditional design offers a wide range of design options, allowing the home owner to personalize the kitchen while appealing to a wider range of potential buyers. Corbin DeLapp, of DeLapp Builders, recommends “choosing the ‘latest trend in styling may not always be the best move if resale value is of concern. Stick with popular traditional styles instead, which ensure a broader range of appeal; and improve the long-term marketability and resale value of your home!” If your creative design features make the home buyer cringe, you may find yourself missing out on the best return during the sale. HGTV agrees, stating “The only home improvement likely to return more at resale was a minor (roughly $15,000) kitchen remodel, which returned 92.9 percent. Additional “traditional” styles, with a wide range of appeal, include high-quality cost-effective stainless steel appliances (consider avoiding professional level appliances, which incur a much higher cost and lower your return); and convenience or functional features such as; soft-close drawers and cabinets, pantries, storage drawers, rotation shelves and functional racks for cabinets, quality hardware, and eco-friendly waste recyclers, water purifiers and disposal options. 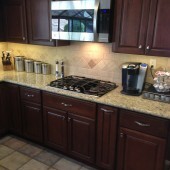 See some unique kitchen features built by DeLapp Builders in our Kitchen Remodeling photo gallery! Finding the right balance between a complete remodel and a major renovation can be challenging for homeowners. There is one easy way to determine which kitchen remodeling investments will give you the most bang for your bug…Contact DeLapp Builders at (951) 522-4498 to discuss your remodeling project ideas, and we’ll help you to find the right balance between your beautiful design concepts and your kitchen remodeling investment goals!